There is one restaurant I can go numerous times and never get tired of, and this restaurant is CIPRIANI. Last summer in Ibiza I went to the restaurant at least three times a week. I even celebrated my birthday with my boyfriend Rony Seikaly "DJ'ing" till late night! (since in Ibiza the restaurant becomes a night club after dinner) Whenever I'm in London it's also my first restaurant of choice. I call all my girlfriends and we have a night of belinnis, great talk and yummy Italian food. In NY the restaurant is walking distance from my place! So again, its where i go. 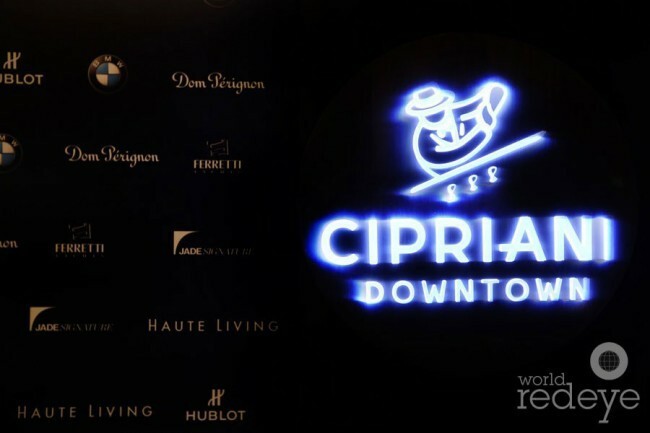 I couldn't be happier to have CIPRIANI now in Miami ((((: The restaurant is located Downtown Miami at Brickel Avenue. 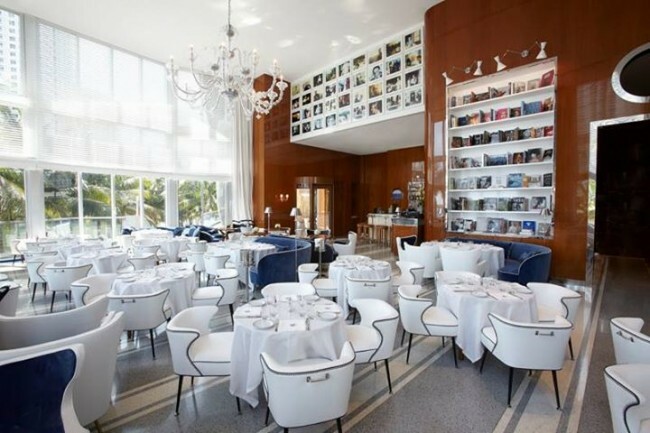 The ambience is elegant and light, floor-to-ceiling windows, white leather chairs trimmed in blue velvet and view to Biscayne Bay. Don't be surprise if Maggio or Ignazio Cipriani, the fourth generation family members come up to your table to serve you. The service is impeccable as usual and the simple italian food will make you wanna go back every time you're in town. Se existe um restaurante que eu não me canso de ir onde quer que eu esteja, esse lugar é o Cipriani. No verão passado em Ibiza, chagava a ir ao restaurante três vezes por semana e até comemorei meu aniversário lá com meu namorado Rony Seikaly tocando até as 6 da manhã (em Ibiza o restaurante vira boate)! Sempre que estou em Londres, chamo as amigas e fazemos uma mesa no Cipriani com direito a muitos belinnis, conversa boa e comida italiana deliciosa. Em NY moro a quatro quadras do Cipriani Downtown, estou sempre por lá. 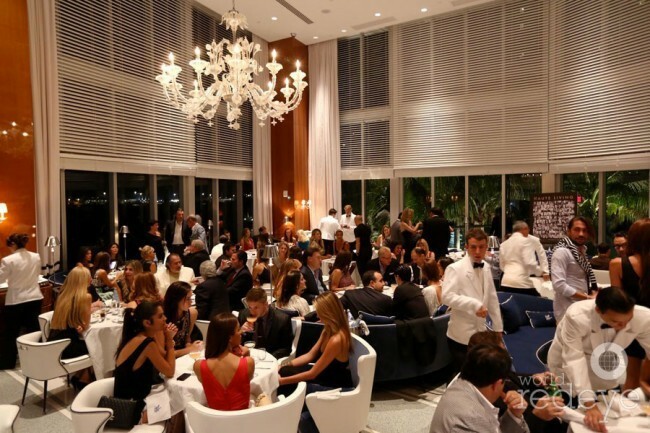 Por isso não poderia estar mais feliz com o novo CIPRIANI DOWNTOWN MIAMI. Uhuuuuuuu!!!! Já fui, e está mais do que aprovado. Fica na Brickel Avenue. O ambiente é elegante e aberto, com janelas espaçosas, cadeiras brancas de couro e veludo azul, e com vista para Biscayne Bay. E não se admire se o Maggio ou Ignazio Ciprianni, os meninos da quarta geração da família, vierem limpar sua mesa. (: O serviço, como sempre, é impecável e incomparável! E a maravilhosa e simples comida italiana vai fazer você voltar lá sempre que estiver em Miami. Eu garanto!